AXIS tie-in! 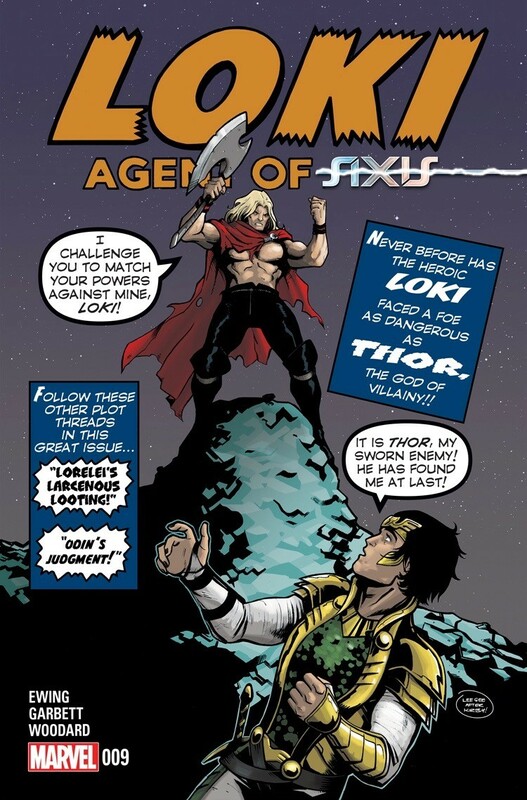 - Loki, swashbuckling savior of truth and justice, versus Lorelei -- scheming sister of the noble Enchantress! - Once -- in a time Loki would rather forget -- these two were allies. Now, Loki must bring Lorelei in -- or die trying! - Also featuring: the base villainy of Thor -- Marvel's brutish God Of Evil!